Ascension Outreach Food Pantry Program in Greenwich Village, NYC - Ascension Outreach, Inc. Thank you to our partners, donors and supporters: The Episcopal Charities Foundation, The Food Bank for New York City, NYC HRA, The United Way, NYU Community Fund, The Church of the Ascension, volunteers and the many individual donors. Ascension Outreach, Inc. is a community service non-profit 501(c)(3), based in Greenwich Village, New York & member agency of Food Bank for New York City operating a food pantry program located at The Church of the Ascension. Ascension Outreach has partnered with Resistance Cinema to present documentary films each month on current topics. In 2019: April 6 & 20; May 4 & 18; June 1 & 15; July 6 & 20, 2019. PLEASE NOTE NEW REGISTRATION PROCESS TO RECEIVE FOOD: Grocery bags of non-perishable food are distributed on the first and third Saturday each month from 8:30am to 9:00am from the Parish House door at 12 West 11th Street. The first time you come there will be a registration process to sign up and receive food. Documentary films on current social justice issues are shown in the Parish Hall of Church of the Ascension, 12 West 11th Street at 7:00pm. The next film that will be shown on Tuesday, April 2, 2019 at 7pm is Harvest of Empire: The Untold Story of Latinos in America. 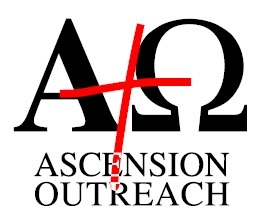 To volunteer, donate or obtain more information regarding Ascension Outreach, Inc., you may call the parish office at (212) 254-8620 or send an email to the Executive Director: FatherChinery@ascensionnyc.org. Thank you for your interest in our outreach program. Executive Director: The Rev. Edwin Chinery. Board Members: Stanley Ackert, Connie Dondore, Lisa Dunn, John Merryman, Rusty Moore, and Frederick Schock. See sidebar above left to Donate Now to the Food Pantry and Tutoring Program through PayPal. All donations are fully tax deductible. We would like to thank our 2018 funding organizations including: The Food Bank for NYC, United Way, New York Episcopal Charities Foundation, Grace Episcopal Church and the NYU Community Fund.